The old models of how people interact and collaborate have been radically transformed in recent times. People are using blogs, wikis and collaborative planning tools to work together. All these applications represent a significant opportunity for organizations to create new social and Web-based collaboration and increase productivity. Project management is undergoing significant changes due to the introduction of the new technologies for managing project teams. Traditional project management implies a project manager acting as a proxy in all project-related communications, thus reducing his productivity and therefore curtailing the efficiency of the rest of the project team. The new wave of project management tools puts an emphasis on collaboration and makes teams much more productive. These applications go hand-in-hand with modern practices like collective intelligence and emergent structures that empower agile project management. These practices and tools are now used by successful teams ranging from two individuals to thousands of people. They are not only incredibly helpful in managing distributed teams in today’s global environment, but also able to take care of a lot of routine operations for you. Wikis, blogs, collaboration tools, Web 2.0 technologies… How do these tools influence contemporary project management? How do they help you manage your projects? What makes them so effective? How can you get the most out of them? This article will help you to learn how companies and teams can benefit from the new technologies and practices, and how these technologies can make your job easier and more pleasant. Microsoft Project and many other traditional management tools allow you to have only a strict, one-to-many work breakdown structure of tasks (and other similar items). This creates several negative consequences. First, there can be only one view of the project, while in real life there might be a need to have many different views of the same project. Project marketers, business analyst, engineers, and testers might want to slice the project in different ways. Often, the same person needs different slices — for example, by release and by feature. This inconvenience makes the software less usable and thus people become hesitant to check plans and update them regularly. On one hand, these factors lead to obsolete and useless project plans. On the other hand, the necessity to select one work breakdown structure greatly increases the cost of mistake for the project manager. Project management 2.0 tools have fewer restrictions. They let structures emerge, without strong central control. 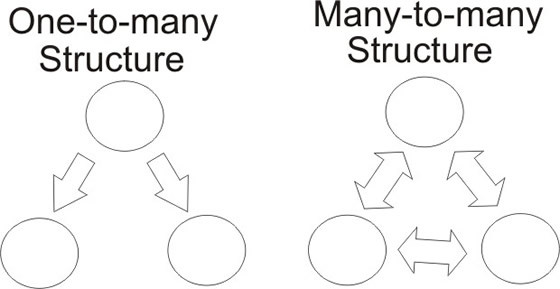 These structures are born from lots of little interactions that are designed to solve specific problems. For example, collaboration planning tools, like Wrike allow work-breakdown structures to emerge from the bottom up. What employees design as the best work-breakdown structure for their tasks, becomes a part of a bigger picture seen by the manager. This agility helps to bring iterative and incremental practices into project management without giving away the control. The project manager’s job becomes more about coordination and guidance than routine manual updates, and the whole team can react to changes much faster. Project management 2.0 tools allow you to start with one task, add twenty more, organize them, add more tasks, reorganize them, and repeat the process on a daily basis by many or your employees and managers. When seven employees share their daily to-do lists with a team leader, the team leader gets a bigger picture. When five team leaders share their teams' plans with project managers, a picture gets bigger. When it goes through directors and the vice president to the CEO, the whole structure evolves from what was one task into a big ecosystem that perfectly suits the organization. All this with a help of very simple tools and very powerful principles that stay behind those tools - collective intelligence and emergent structures. Empowered by emergent structures and collective intelligence, project managers can combine field knowledge coming bottom-up with the guidance coming top-down. 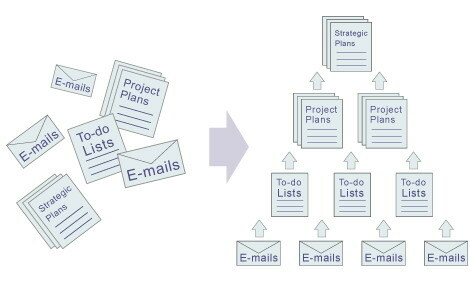 There is also a significant benefit for executives: emergent structures emergent allow you to get complete visibility that bridges the gap between strategic corporate plans and daily to-do lists of employees. Both internal and external use of blogs can be advantageous for a project. The major benefit of internal blogging is that it gives the opportunity to facilitate direct communication between various layers of an organization. Blogs allow team members who otherwise would not have been aware of or invited to participate in a discussion to contribute their expertise. Thousands of companies now use blogging tools like Blogger, LiveJournal, Typepad, Movable Type, WordPress or Radio UserLand. For example, British Library and University College London collaborate on a project called the LIFE (Lifecycle Information for E-Literature) through a blog . A blog is a way for these two organizations to work together more efficiently and keep all the project information in one place. External blogging helps to encourage the strongest community goodwill, and this goodwill, in turn, promotes significant marketing and sales gains. Thousands of companies are already reaping the rewards of their investment in external project blogging. For example, companies like Microsoft, IBM, Google, Sun Microsystems, and SAP write project blogs on a regular basis. The number of non-technology organizations that have their own project blogs is rapidly growing, too. One of the most prominent examples is the From Edison’s Desk blog — a blog for the GE Global Research project. It offers an opportunity for technology enthusiasts around the globe to discuss the future of technology with top researchers from one of the world’s largest and most diverse industrial research labs. A wiki is another technology that can be successfully applied to managing projects. Its basic advantage is that it lets users to create, edit, and link Web pages easily. Wikis usually have very few restrictions, thus they tend to accumulate a shared knowledge that was traditionally kept out of stiff corporate enterprise software and intranets — the knowledge that was usually buried in e-mails. A good example of wiki usage would be Dresdner Kleinwort, the investment banking division of Dresdner Bank AG that gained an e-mail traffic volume reduction by 75%. They also slashed meeting time in half. Another example is a Linux-based operating system called Fedora, which uses a project wiki to bring the end user’s point of view into the product development. There are a lot of wiki solutions that are be successfully used by many companies. The most well-known is an open source wiki called MediaWiki, the one that is used by Wikipedia. New collaboration applications and platforms combine the level of control associated with traditional project management software with the benefits of Web 2.0 applications to give a productivity boost to companies and bring better visibility. The best tools in this field are integrated with e-mail and easy and inexpensive to adopt. They democratise project management software. Collaboration planning tools bridge the gaps between employees’ to-do lists, project plans, and strategic goals. With the help of these tools, a project manager gains complete visibility of all the projects he is responsible for. The upper management knows what is going on inside of every project and has the whole picture. The software takes a lot of routine operations on its shoulders — turning e-mail mess into a nice-looking timeline, reminding people about overdue tasks and building reports. These tools help to collect information and make it accessible to any team member anywhere. This expedites information sharing and accelerates decision making. The use of innovative project management technologies promises to have a profound and far-reaching effect on how projects are managed today. These technologies let companies acquire the key ingredient to success in any business — they help companies make better decisions faster. Project management 2.0 gives a great productivity boost to project managers and their teams. Since 2001, Andrew Filev has been managing software teams in a global environment. His technical expertise and his management vision are reflected in online and offline articles that have had hundreds of thousands of readers. 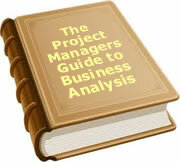 His ideas on new trends in project management are published in Project Management 2.0 blog. Mr. Filev has given speeches on new trends in project management and deployment of the next-generation, Web-based applications on deferent events, including the PMI Silicon Valley Tools and Techniques Forum and the Office 2.0 Conference (Project Management panel). Mr. Filev’s innovative ideas and passion to improve project management tools are applied in Wrike, a leading online project management solution. He now leads the company as a founder and CEO. Mr. Filev graduated from St. Petersburg State University and the Stockholm School of Economics. He also received the honoured award of Microsoft Most Valuable Professional. Wrike ( http://www.wrike.com ) is the leading on-demand, online project management solution. It provides executives with a unique platform for managing many projects in one workspace and easily getting reports across all projects. Wrike’s collaboration features give a significant productivity gain to diverse small and midsize companies around the world ( http://www.wrike.com/stories.html ). Its e-mail integration is the most advanced in the project management space. Wrike Inc. has patents pending. Founded in 2003, Wrike Inc. is a privately held corporation located in California. To date, 18 people have rated this article. The average rating is 3.72 - Add your rating. Just select a rating and click the button. No other information required.